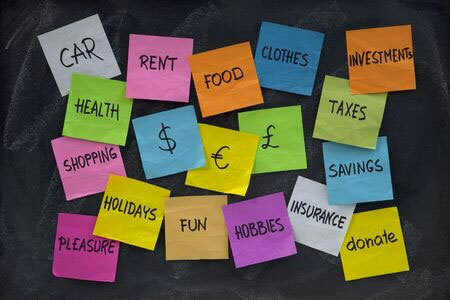 We all agonise over our money, but by making just a few simple changes to the way you run your household, you could ease your financial worries and spend more time thinking about the things that matter. Knowing your energy consumption habits is a great way to start saving, and an ever-growing smart home sector is making it easier than ever to track, tweak and control the way you use energy in your home. Energy providers like British Gas are now offering smart meters, which give you more detailed information about your spending, as well as greater control over your outgoings. Gadgets like Belkin's WeMo or Tado, on the other hand, let you monitor and control your heating and lighting from your phone. What's more, Tado claims its system can save you up to 27% on your household bills. It may seem easier just to stay with your current suppliers, but it pays to spend a few hours shopping around. Start by gathering all of your latest bills and meter readings to get a clear view of how much you spend, and then use a comparison site to check if you're getting the best value for money. Your gas, electricity, banking, and media providers could all be making more from you than necessary, so take back control and exercise your right to switch and save. Your immediate short-term savings will lead to big long-term benefits, so don't just stick with who you've always used out of habit. Am i paying unnecessary interest charges through late payments? Can i use direct debits or standing orders to prevent more interest charges? Am i paying off the highest interest accounts first? Can i use my savings to reduce my debt, and cut monthly interest payments? Am i making the most of the cashback and loyalty schemes on offer? To help find the answer to these questions, take a look at our free Money Dashboard money management software. It automatically records your income and expenditure across all of your bank accounts, with an automatic tagging feature that can help you identify exactly where your money is going. There's no reason why you can't continue to enjoy doing the things you love, even with one eye on your wallet. Most online entertainment providers provide free trials with no obligation, so you can settle on your sofa and enjoy the series all your friends have been talking about without paying a penny. Daily deal sites like Groupon and Wowcher, on the other hand, know the best things going on in your town, and can get you seats to a show or restaurant for less than you might expect. Have you got any other top tips to help slash household expenses? Get in touch in the comments below and let us know.